Mission Federal ArtWalk returns to Little Italy this weekend with a new theme, "Connecting Creative Communities." 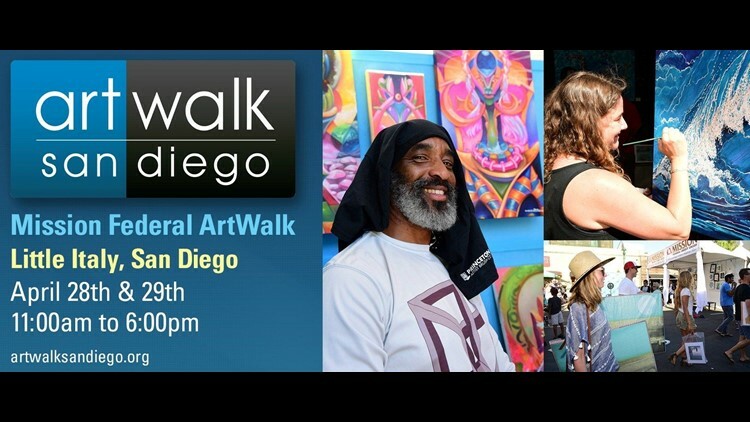 SAN DIEGO (NEWS 8) — Mission Federal ArtWalk returns to Little Italy this weekend with a new theme: "Connecting Creative Communities." The festival will be held for the 34th time on Saturday and Sunday from 11 a.m. to 6 p.m. each day. The free event is expecting 100,000 visitors and over 350 artists who work in multiple mediums. Other highlights include live music, dance performances, and more. Angie Lasagna and several artists stopped by Morning Extra to preview the weekend-long event.